There are people who like to watch replays of their landings and take offs from the outside. I'm making flight simulation videos, therefor a realistic appearence is extremely important for my channel. There is no reason why features like wingflex/advanced gear animations etc. shouldn't be included in the year 2017, even if some people only use the VC (which is totally fine). And with P3Dv4, developers can add those features without the fear of contributing to a potential VAS or performance problem. By your logic, there doesn't even have to be an exterior model, since you can't see it from the cockpit either It's the immersion factor, that's very important to many people in the flight sim community! I agree. Wingflex and Gear animations/physics are very important. I'm confident that Aerosoft will do a great job as always. But there are limitations in the sim, so nothing can be 100% accurate. 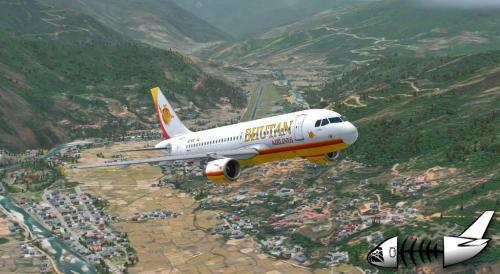 Aerosoft A319 Bhutan Airlines "Dorji"
Ok, someone didn't like my joke about Christmas 2020...didn't know it was so bad that it had to be removed (isn't that a little harsh?).... I don't care if the A330 is finished this year or next year but it will be a great product as always. Take your time. 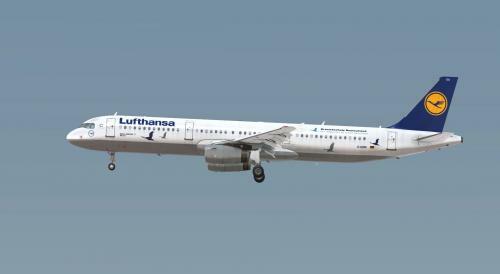 Aerosoft A321 IAE Lufthansa "Kranichschutz Deutschland"